1. Besides being a farmer and a blogger, I work at an amazing non-profit that is literally changing the world every day. I have worked and/or volunteered for them for about 5 years now and am still so much in love. Midwest Environmental Advocates. Look ’em up. Follow them on Facebook. Read about cool things they’re doing in the Journal Sentinel. They are the most amazing. 3. If I could, I would eat most anything and everything roasted at 450 degrees and then tossed with Kosher salt, red pepper flakes and maple syrup. Sometimes, at the tail end of the farming season when I’m not quite ready to give up vegetables, I actually do eat everything this way. 4. I own a desert tortoise. Well technically my carrot husband owns a desert tortoise but we are married now so that means I own him too. His name is Norman. The tortoise. Not the husband. 5. 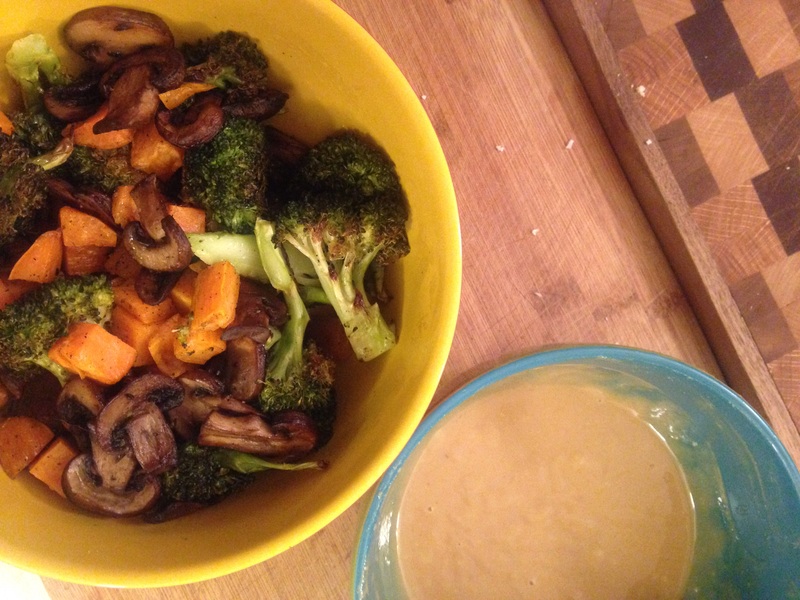 Up until about a month ago, I detested tahini. I thought it was heavy and gritty and had a bad aftertaste. Yuck yuck yuck. What an unreasonable ingredient. Smitten Kitchen was always talking about it. Molly Yeh was always talking about it. But I didn’t care. I wasn’t buying or using that expensive yucky stuff. Apparently in 2015, something changed. I’m suddenly obsessed. I knew Smitten and Molly couldn’t be wrong. Happy its almost Valentine’s Day!! 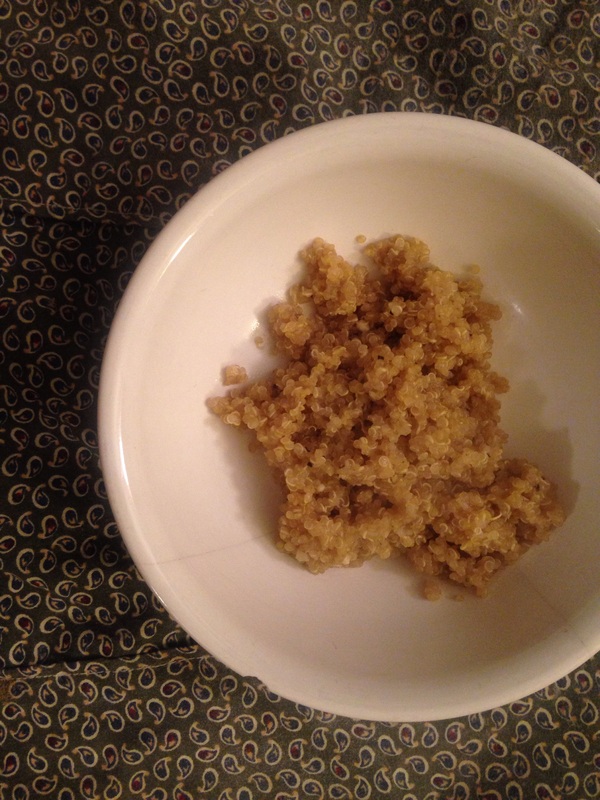 Toast quinoa in a small pot over high heat for about 1 minute. Add water and a few pinches of Kosher salt. Bring to a boil. Reduce to low, cover and cook for 15-17 minutes until liquid is gone and quinoa is fluffy. Remove from heat. Set aside. 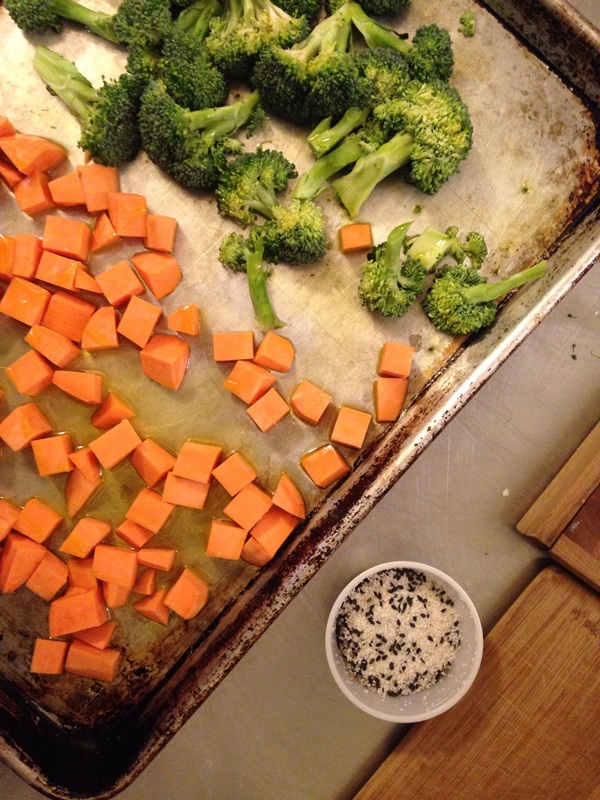 Toss sweet potatoes and broccoli with oil, salt, sesame seeds and a good sprinkling of freshly ground black pepper. Add to a baking sheet. Mine fit all on one, strategically. Feel free to use two baking sheets. Place in preheated oven for 25 minutes. Remove. Toss gently and cook for 10-15 more minutes until charred in spots. 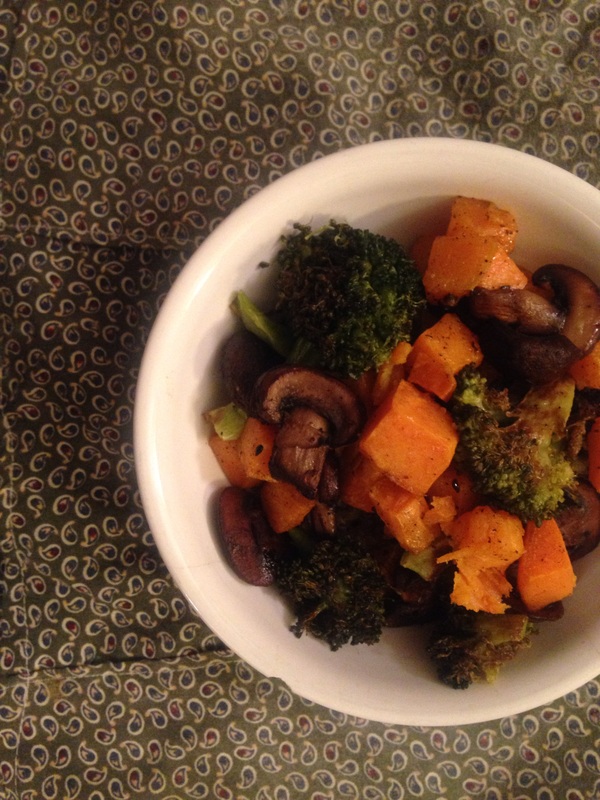 You can remove the broccoli at 25 minutes if you don’t like the char (but you should. I love the char). In a separate small skillet, melt butter (use can absolutely use oil if you’re vegan. I just love mushrooms sauteed in butter) over medium heat. Add sliced mushrooms and a little bit of salt and pepper. Cook for 10-15 minutes. 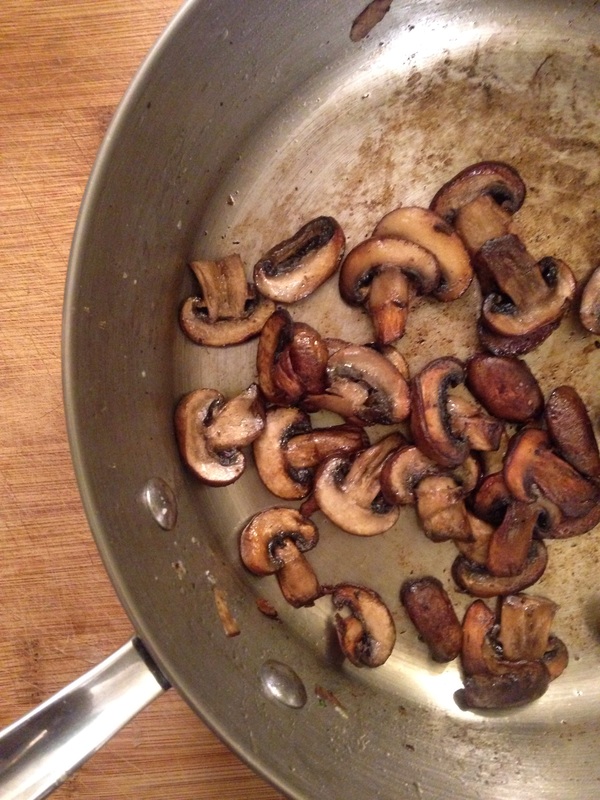 I like my mushrooms to shrink almost in half and begin to brown on all sides for this recipe. Set aside. Meanwhile, mix your sauce together. First combine the tahini, miso paste sesame oil and olive oil. Whisk until smooth. Add vinegar, honey, soy sauce and pepper to taste. Feel free to add a little more honey (or tahini!) but do not, under any circumstances, add more salt. The quinoa, roasted veggies and mushrooms are all already salted. Build you bowl! 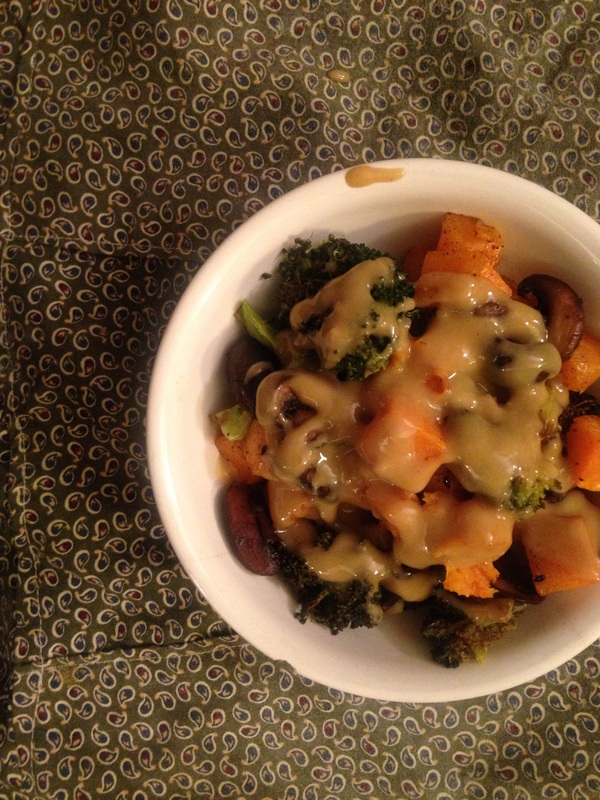 Start with quinoa, add roasted veggies, then mushrooms, then as much sauce as you like (more is always best). Sprinkle with toasted white or black sesame seeds if the mood strikes you. Previous Post Saturday Ladies’ Day + RECIPE: Build your own flatbread bar!!! !